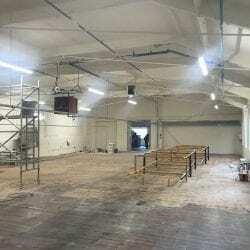 New canteen and meeting area underway for the Burberry factory in West Yorkshire. R&B Building Services can transform your shared areas, canteens and meeting rooms in all office environments and production facilities. Packing line room refurbishment at DECHRA Pharmaceuticals Manufacturing in Skipton. Works included new flooring, hygienic wall cladding, stainless steel skirting, decoration and LED lights. 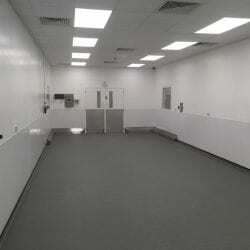 R&B Building Services have undertaken works in various clinical and clean room environments. Factory loading bay for Styrene Packaging Insulation Ltd in Bradford, West Yorkshire. 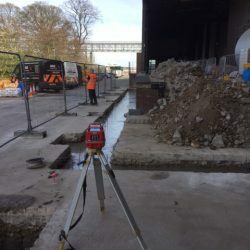 Small civils and commercial building projects by R&B Building Services (Skipton) Ltd.